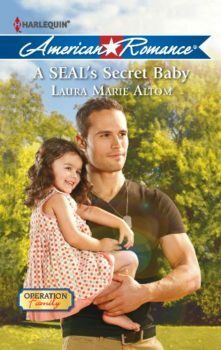 Navy SEAL Deacon Murphy’s tryst with Ellie Hilliard was white-hot, but quickly forgotten when she met her husband, his best friend, Tom. That was fine by Deacon. As a rule, he avoided making commitments, at least to anything other than the navy. But when Tom died, Deacon promised that he’d watch over Ellie and her daughter, Pia—not knowing that Pia was actually his, and never expecting that he’d fall for them both in the process. Ellie is terrified of getting too close to Deacon, and not just because of his high-risk career. Losing Tom was hard enough. If Tom’s parents knew the truth about Pia, she could lose them, too—and they’re the only family she has left.